Hello Again! Sorry about Monday, I’ve been traveling for work and Em has been working on some new teeth… that leaves little time for blogging! But we’re back, and that’s what’s important! Anywho, let’s take a jump back to last week’s holiday themed mantle and discuss chalkboards! When I put up the picture of the blue arrow, I started getting lots of emails about how I did that and my answer – Pinterest. I love Pinterest, don’t you?! 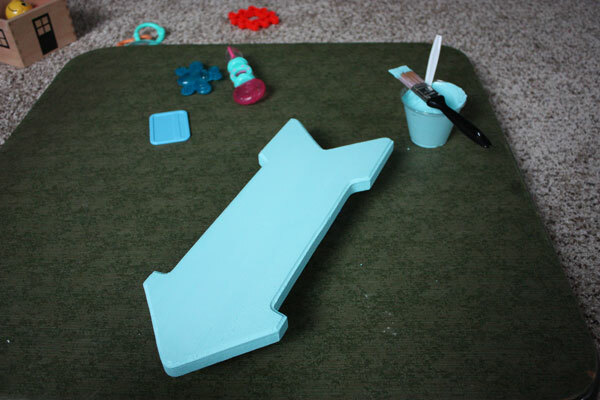 Anywho, there are MANY phenominal tutorials out on this wide web to make your own chalkboard paint, but I thought I’d give you a quick run down of how I achieved the arrow above. First, I gathered up all my supplies. 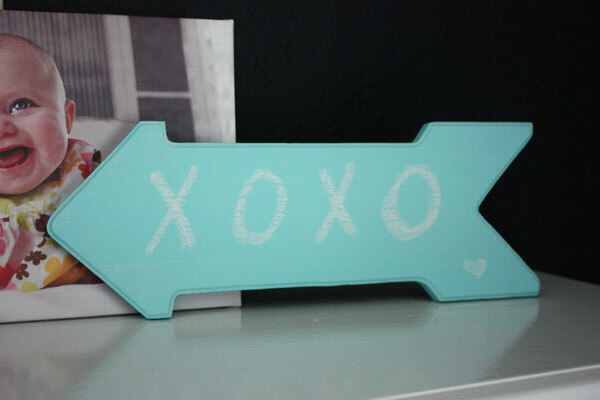 Originally I had planned to simply pick up some “XOXO’s” wooden letters from Walmart, paint them blue and be done, but alas… Walmart had X’s but no O’s, so I had to go to Plan B. I saw this wooden arrow there for about $8 and thought why not… the rest of my mantle was free so I could spluge. Then I grabbed some UnSanded White Tile Grout, a sample pot of paint and a cheapo paintbrush from Menards and got busy. 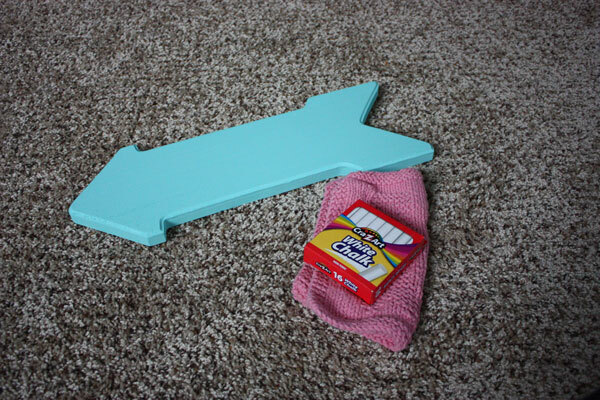 First, I gave the arrow a quick sanding to smooth things out. Like I mentioned above, I’d snatched up a sample pot of paint while at Menards (Dutch Boy’s Newborn Blue in case you were wondering). I just loved the brightness of it! First, I meaured out half a cup of paint, and then mixed in one tablespoon of the grout. Be sure to mix it really well and your paint is smooth again! Then just apply away! I put on two coats. 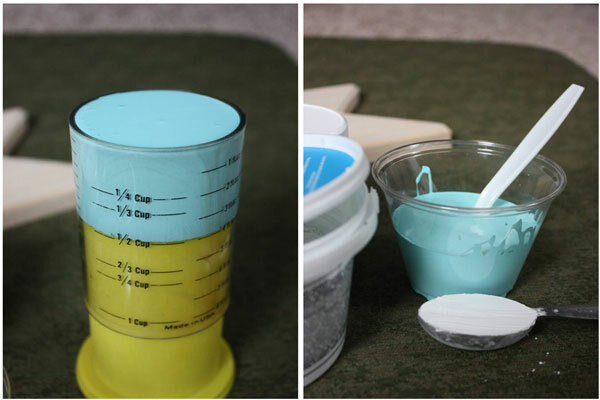 Note that it will dry fairly quick and the paint/grout mixture you made will not store well! 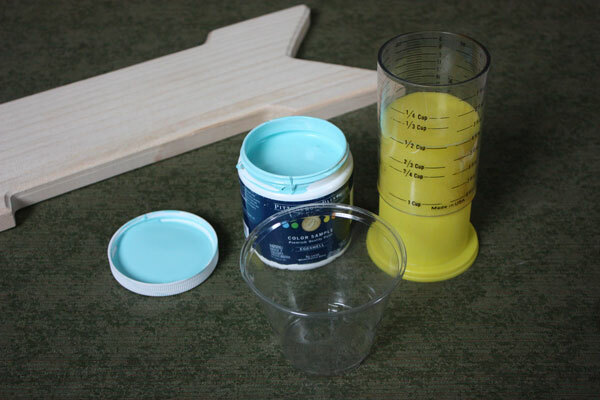 After these two coats, I realized that I had made way too much paint… note for next time, cut ratios in half! And I’m glad I used the cheapo paintbrush, cause there was really no cleaning it out… I just tossed it. Once everything had dried, I grabbed some chalk from my junk drawer and a rag… cause it was time to condition! 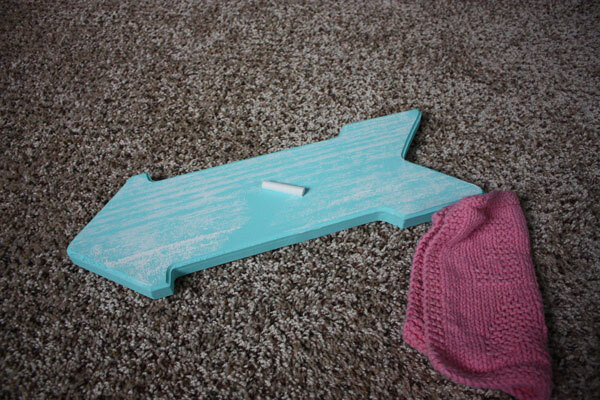 I believe we talked about conditioning a few months back when I made a chalkboard for the lake house to keep tally of the fish count over the summer months… but it super simple. 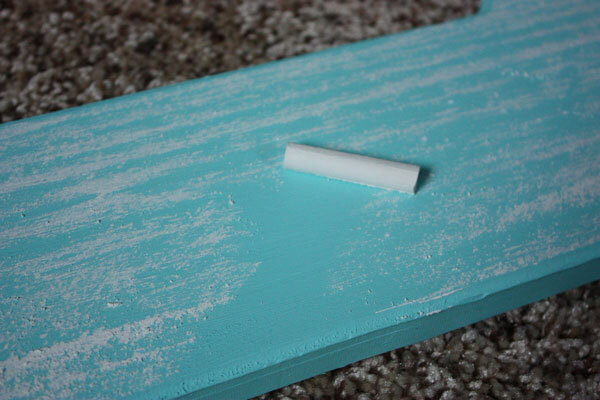 All you need to do is use the side of your piece of chalk and rub it all over your new chalkboard! Then just wipe it off again, and bam! 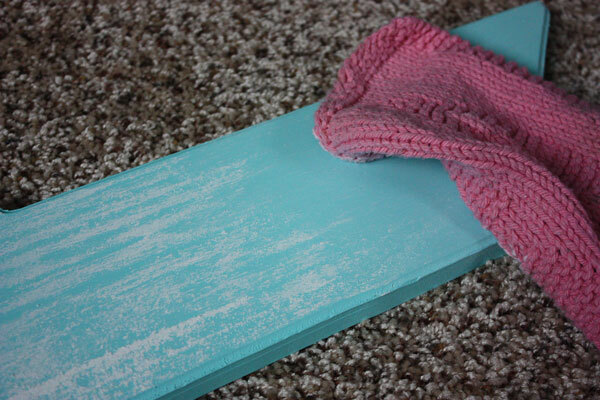 You’ve made yourself a chalkboard in a beautiful bright color! Or any color you choose! Trust me… now that I’ve got myself a litte tub of grout mix… I’ll be making a couple more chalkboards around this joint! Oh, and I’ve taken a little grief for not giving budget breakdowns like in the past… so hereare the approximates (or the best of my memory) for ya! And I know that $17 seems sorta pricey, but I justified it by know that the $5 spent on grout mix will last me many projects in the future! Possibly even throw some gifts, so it was well worth it! 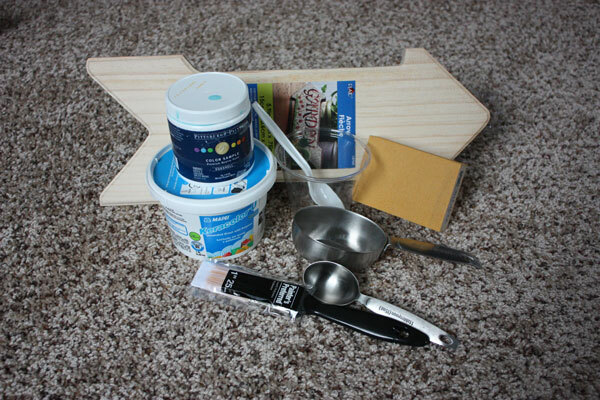 And the $3 of sample paint could have been slimmed down if I had known that I should’ve cut the “recipe” in half… I’ve heard you can also do this with acrilyc paint – so one of those $.97 ones from Walmart probably would’ve worked just as well! 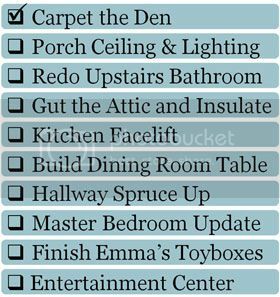 So, anything around your house you’d like to spruce up? Or jot down your notes on? 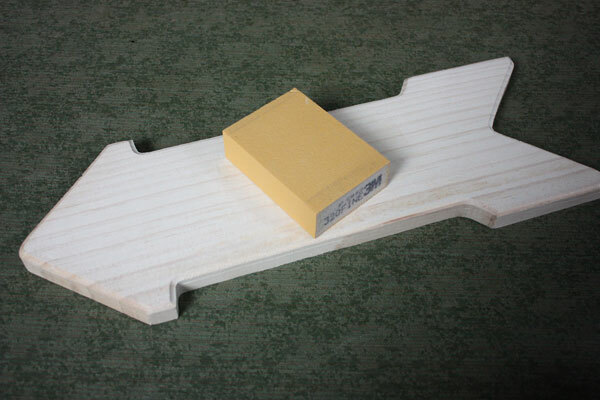 How about a cute cutting board in the kitchen as decoration? Or a flower vase for the upcoming spring blooms? Can you tell I’m getting excited for spring and warmer weather?! The colors in my house just can’t get bright enough at the moment! That’s so cute! 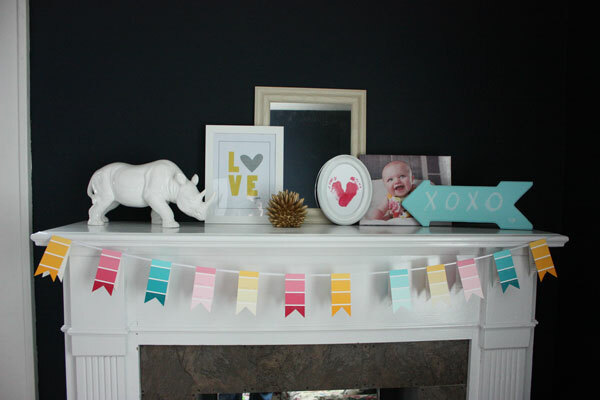 Your mantel is amazing. I love the banner. We want to award you with the Liebster Award. To find out more you can visit our blog here: http://taylormegancrafts.blogspot.com/2013/02/we-won-oscar.html. If you don’t want to participate, it’s totally fine :).